A woman has died and two others remain in critical condition after an incident at L’Enfant Plaza metro station in Washington, DC. The station was evacuated and closed for commuters after smoke filled a subway car. 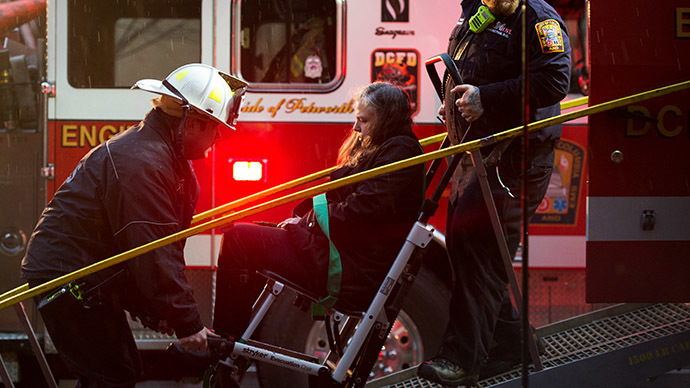 "We don't know yet the cause of the heavy smoke," the general manager of DC's metro system, Richard Sarles, told a local NBC affiliate as he announced that one woman had died as a result of the incident. In addition, Sarles said that two people are in critical condition at George Washington Hospital. Another 40 are being treated at Howard University Hospital, while 20-25 people were taken to Washington Hospital Center, the Washington Post reported. The Metropolitan Police Department are launching an investigation. The station was evacuated shortly before 3:30 p.m. as smoke filled the car. Service was suspended near L’Enfant on the Yellow and Green lines. Orange, Blue and Silver line trains were bypassing L’Enfant.